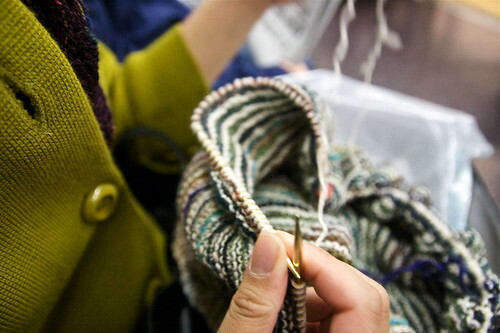 Love to see knits in action ~ your new shawl is looking gorgeous. I am curious about this bowl veggie chopper you speak of. Sounds interesting! I definitely fall into the never-wear-the-knits-I-finish category. It’s great to see you enjoying yours. You can definitely rock a shawl!